With its infinite guest list, seemingly endless events and lavish meals, a traditional Indian wedding — and its herculean planning efforts — can look more like an extravagant Hollywood production. These days, however, the planning process for such celebrations are more streamlined — and oceanfront. Some of the Caribbean and Mexico’s most trusted resort brands are offering awesomely detailed celebration packages designed just for you. 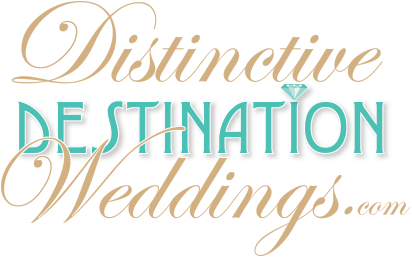 There are on-site wedding coordinating specialists, culturally specific decor and ceremony choices, along with certified, authentic cuisine options. So now all you need to do is choose your favorite resort destination. Here, some of our favorite packages across the region. Dreams Tulum Resort & Spa, Riviera Maya, Mexico - Calling all you reality TV fans: You can get hitched at the same resort that hosted a season of The Bachelor in Paradise. The ocean-view property boasts the spectacular Shaadi package, which has been expertly crafted to include six traditional events. The experience begins on the first night with the mehndi evening (an intimate three-hour gathering with a henna artist), before extending to the second day with the welcome dinner (or sangeet or garba). And finally, there’s the third day with a baraat (the groom’s procession), the wedding ceremony, a post-ceremony lunch and a dinner ceremony. Don’t worry about repeating venues — Dreams Tulum Resort & Spa encompasses more than enough private locations for hosting including a secluded beach, pool terraces and a jungle gazebo and garden. Elegantly furnished, each event feels unique from the last. Best of all, many areas are separated from the guest rooms, allowing the celebrations to continue well into the early morning. Click HERE for the rest of this article. Article courtesy of Bridal Guide Magazine. A variety of guest rooms and rates is key. It makes all the difference because there is always a financial diversity in your group. You’ll want to accommodate the family that’s going to spend $99 a night, as well as those who are staying a week and spending upwards of $1,000 a night. Go with an experienced planner. You want to know if they’re familiar with the rituals and can guide you and your families through them, especially if the bride or groom is non-Indian. Similarly, hire an experienced team. Make sure your vendors and photographers know which details deserve the most attention. Choose a resort with a strong Indian cuisine program or partnership. Food is one of the the most important elements of a Hindu wedding. Make sure you’re the only Hindu bride at the resort during your stay. The very first thing to consider is noncompetition. When you’re there, you don’t want to see another Indian bride having another huge event. Generally speaking, there may not be enough resources.